I thought I would try this product. I have really white teeth anyway because I brush a lot, do not drink wine and I have had them whitened professionally at the dentist. Home kits are simply not strong enough to get the same results as if you went to the dentist. The legal amount of chemicals they can include won't make your teeth like Rylan Clark or some Essex girl! 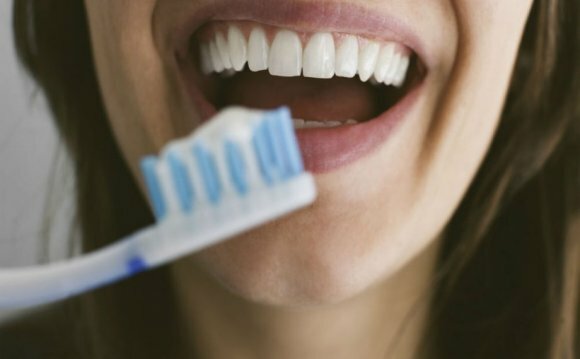 These do however remove stains and can in theory give you a whiter smile. I drink a lot of coffee so I am conscious of my teeth getting stained. This kit is a 14 day programme if you use it once a day or 7 day programme if you use it twice a day. I used it twice a day for a week. The results were good. I felt it did improve my whiteness of my teeth. I'm not sure if it was 100% down to the product or because I really focused on cleaning for the week while using this product and I kept off coffee. The trips are easy to use and they are peroxide free and mainly rely on sodium bicarbonate to get those teeth pearly white! You get 2 strips for use, an upper and lower strip. I did like the product hence the 4 stars but then again my teeth were very white before. Don't expect miracles if your teeth are heavy stained - go see a professional then use products like this to keep them white.